Our online questions, comments, purchases or orders asks users to give us contact information (like their name and email address). This information is used to contact the visitor when necessary about special promotions, events, discounts, and messages from Tiffany Stiles, and is never divulged to third parties. This site contains links to other sites. Tiffany Metaphysically Speaking.com is not responsible for the privacy practices or the content of such Web sites. Our site uses an order form for customers to request information, products, and services. We collect visitor’s contact information (such as their e-mail address) and financial information (their account or credit card numbers). Contact information from the order form is used to send orders, information about our company, and occasional future promotional material. The customer’s contact information is also used to get in touch with the customer when necessary regarding the order. Financial information that is collected is used to bill the user for products and services. Please contact Customer Service at Tiffany-Stiles@sbcglobal.net to request the removal of your information from our database or to no longer receive future communications. 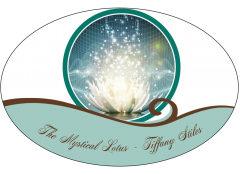 If you have any questions about this privacy statement, the practices of this site, or your dealings with this Web site, you can contact Tiffany Metaphysically Speaking. at the address below.